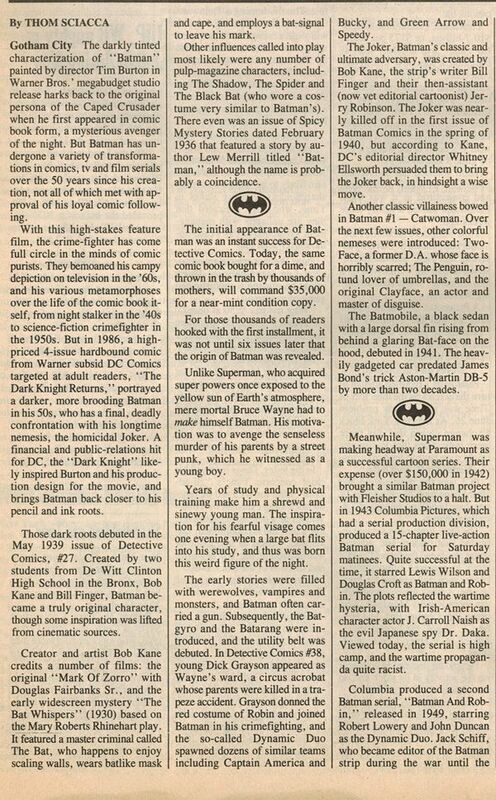 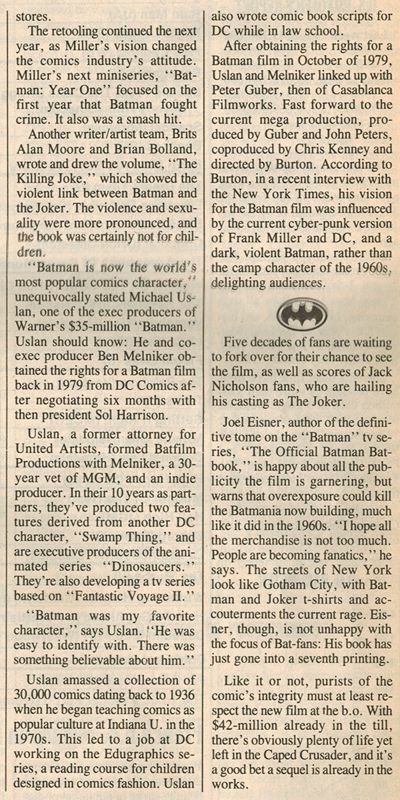 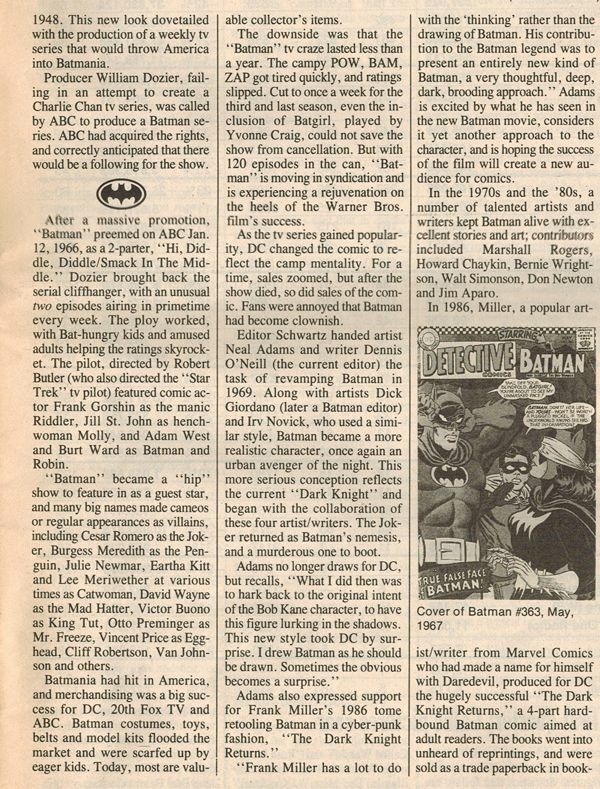 Also included in this edition- "Batman: The Comic Connection"... A nice little article highlighting Batman's comic origins. 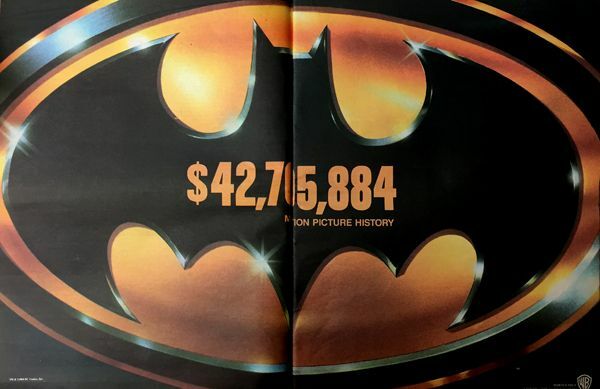 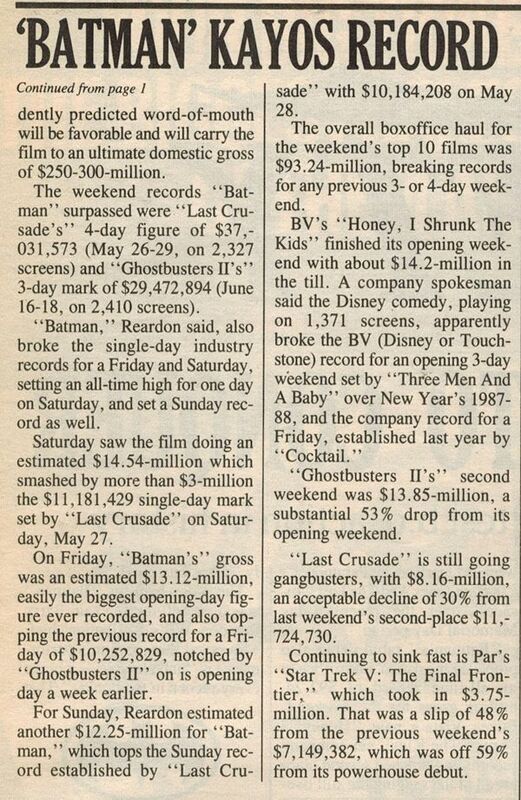 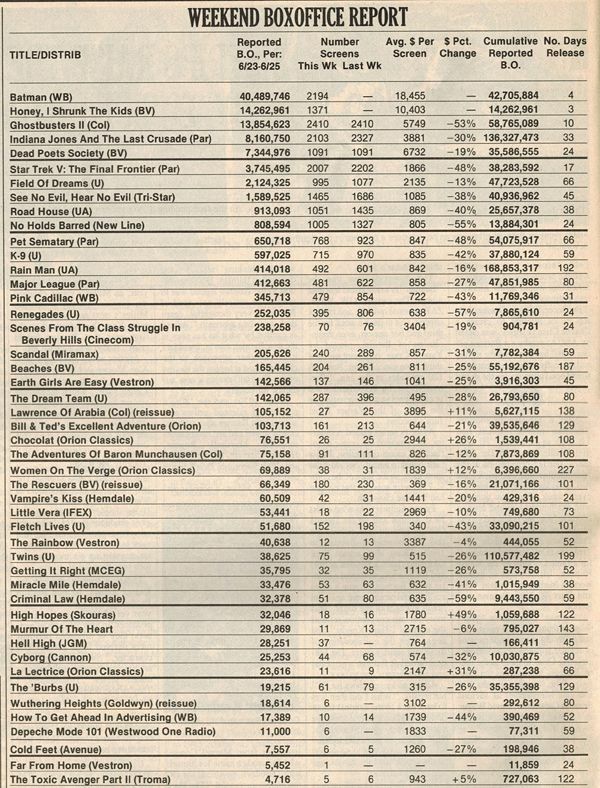 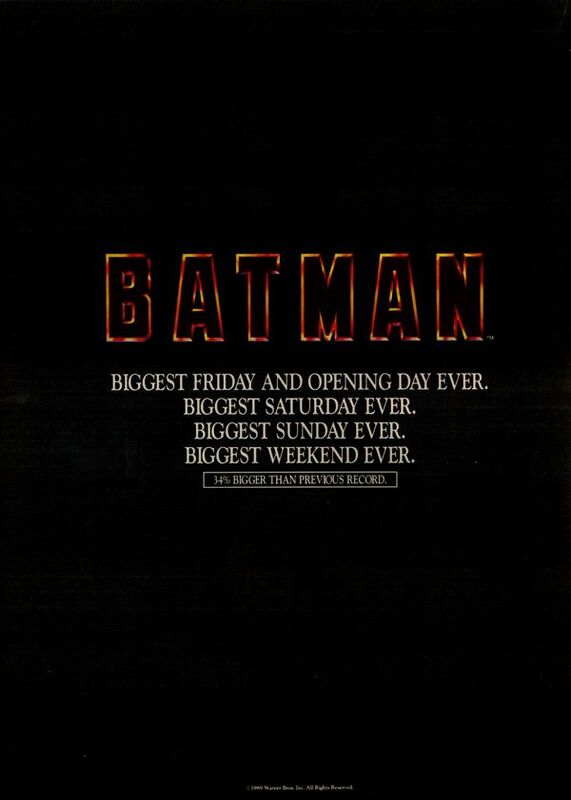 And we finish things off with this 3 page ad from Warner touting the film's success. 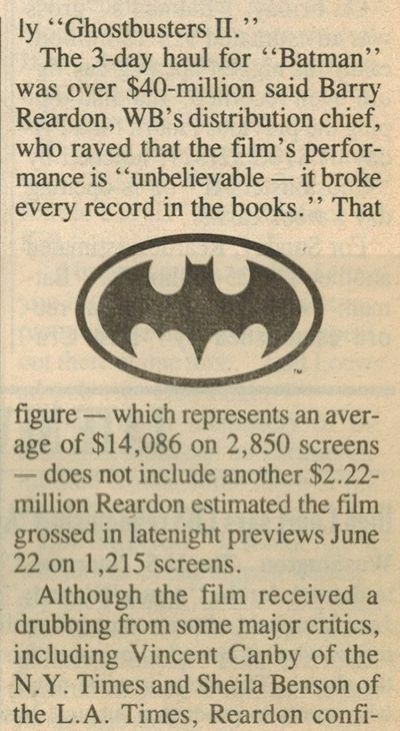 They had every right to brag.